After the State of the Union Address and the touting of the abundance of our natural resources, you’d probably think that our natural gas game in the U.S. is strong. Meanwhile, the big environmental organizations are going off about the Keystone XL Pipeline, and smaller grassroots non profits are fighting eminent domain (not to mention exploding) pipelines like the Penn East and the Atlantic Sunrise, along with the air-polluting compressor station infrastructure that accompanies them. 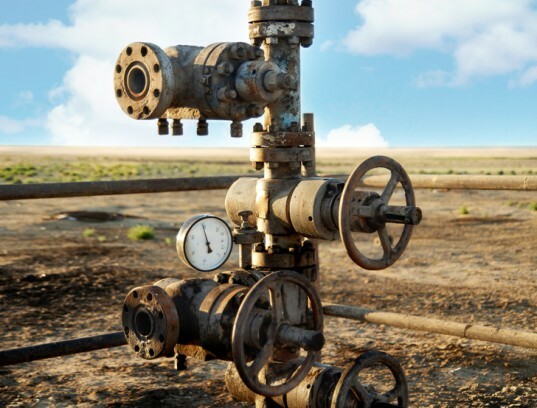 While all that’s going on, hundreds of thousands of abandoned oil and gas wells throughout the country are leaking extraordinary amounts of methane and being ignored by political leaders who continue to support “clean-burning” natural gas. A recent study by Princeton University researchers says that after testing several oil and gas wells in Northwest Pennsylvania alone, many were found to be leaking “substantial quantities of methane.” A Stanford study also indicated recently that there are roughly 3 million abandoned oil wells throughout the country. Princeton researchers suggest that the total leakage from other wells in the U.S., based on their Pennsylvania results, could be significant. Abandoned wells in Texas have gained attention like this in the past, but supposedly most of them are plugged. Michael Celia, the Theodore Shelton Pitney Professor of Environmental Studies and professor of civil and environmental engineering at Princeton, said: “The research indicates that this is a source of methane that should not be ignored.” Essentially, while oil and gas companies claim to be working on controlling emissions—which is really just a ruse to appease the lacking industry standards set by the Environmental Protection Agency (EPA) and the Department of Environmental Protection (DEP) who continue to allow the industry to dictate the laws they are supposed to be enforcing—wells across the U.S. are leaking huge amounts of methane (a greenhouse gas 86 times as potent as Carbon Dioxide) into the atmosphere and further accelerating global climate change. Those leading the Princeton study chose 19 wells in the McKean and Potter counties in Northwest Pennsylvania, which serve as a small population of nationwide wells. They found that in addition to being abandoned, left out in forests and yards, and in some cases wide open, the origins of the wells sampled and their conditions didn’t exist. So not only are there likely more wells like this leaking throughout the country, but there isn’t any documentation to demonstrate how long they’ve been there, what amounts they’re leaking, or even the fact that they still exist. Only one of the wells was on the state’s list of abandoned wells, which suggests there may be many more that haven’t been documented. Because of this lack of information, Mary Kang, then a doctoral candidate in civil and environmental engineering at Princeton, said it’s hard to know when the wells were drilled and if there were attempts to plug them at any point in the past. Related: New York just banned Fracking! Methane was found to be escaping from every single well measured, and 15 percent of the wells were emitting methane at levels thousands of times greater than the lower-level wells. Denise Mauzerall, a Princeton professor and a member of the research team, said that the somewhat low number of high-emitting wells could in some ways offer a solution: it might be a difficult task to plug all the abandoned and leaking wells, but dealing only with the highest emitters is a feasible possibility. Researchers estimate that the methane emitted will double that of the oil and gas industry’s total output. Unlike their working well counterparts, which have a lifetime of around 10-15 years, abandoned wells can (and likely will) continue to leak for decades. So environmental groups must be up in arms about this, right? Political leaders must be on the ball, forcing legislation through in order to plug these wells immediately? At least the democrats who sort of care? Well, no. It would appear that political leaders have expressed no interest or concern in the matter, and have no plan to deal with the issue. What can we expect from these wells and their leakages? We’ll find out as soon as someone acknowledges their existence. 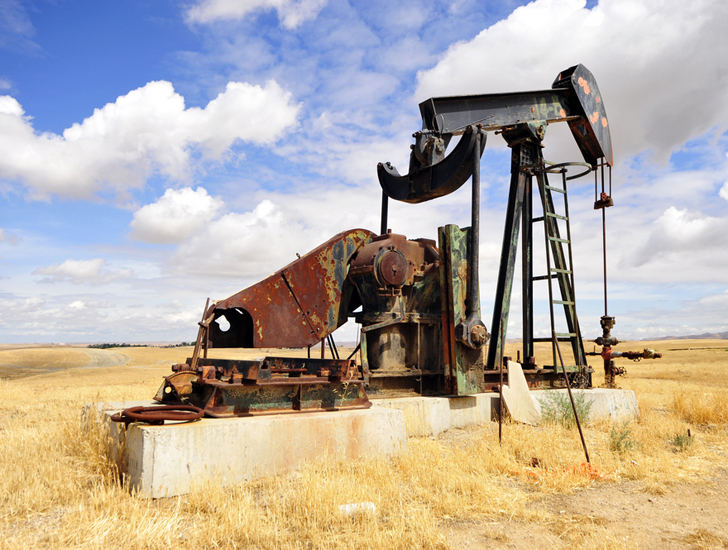 There are countless abandoned oil wells across the USA, and they're all leaking methane into the atmosphere. A rusty old oil pump. 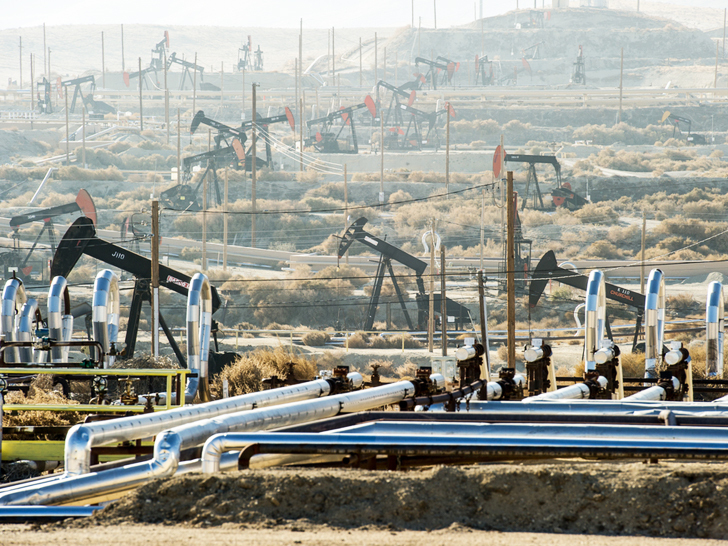 Every single oil well leaks methane, but no-one seems to care.